Craig Fowler answers your questions on Scottish football, including whether the current Hearts or Rangers boss will exit first. @sked21: Who gets the sack/leaves first: Robbie Neilson or Mark Warburton? This is so tough to answer because the situations mirror each other. Both are under pressure from a certain section of the support for an assumption that they are underachieving with the current squad. Each side has been labelled with an inaccurate profile: what with Hearts being negative (who’ve scored more than anyone outside Celtic) and Rangers being weighed down by a porous defence (who’ve conceded one fewer than Hearts). They have a similar run of fixtures coming up, as each play Hamilton and Partick Thistle and have two games against each other, one home and one away, in the next six. Warburton is probably more popular among his own support despite frustrations over his dogmatic approach to the team’s system. There’s a larger percentage of the fan base willing him to do well, even if some are starting to turn following this stuttering start to life back in the top flight. The dislike for Neilson among a small section of the Hearts support is more poisonous. They plain don’t like him and it’s doubtful a winning run, even if it does push Hearts into second, is going to persuade them otherwise. Ultimately, while fan pressure can play it’s part, it’s down to the board whether a manager stays or goes. Hearts fans have the unique position of withdrawing money while still attending matches, thanks to the Foundation of Hearts, so they can make their discontent known without finding something else to do on Saturday afternoons. 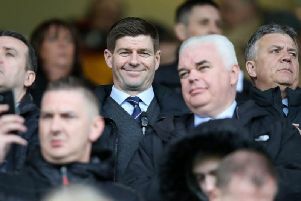 At Rangers it would take a drop in attendance and, though there may be some grumbling, there’s still a whiff of positivity that’s hung in the air since the regime change last year and the installing of Warburton as the new manager. In the end, however, I’m going to go for Warburton for two reasons. The first is to do with board objectives. Hearts’ board have never been adamant over finishing second and have always spoke highly of Neilson, even when he’s been under pressure. Dave King, meanwhile, stated at the start of the season that finishing in the top two was a “non-negotiable”. With games against Hearts and Aberdeen coming up, if they come into the Hogmanay derby against Celtic trailing both those sides, King may start considering a change of boss. The other reason concerns the variable which you alluded to in the question: if one of these managers leaves of his own free will. If a Championship club comes up to Scotland, rightly or wrongly, it’s more likely they’ll go for Warburton over Neilson. He’s got a higher profile because he’s Rangers boss and he’s managed, successfully so, in England before. @Jamie_McDougall: How will you celebrate if Gavin Gunning scores a last minute winner against Dundee United on Saturday? In typical style, with an involuntary exclamation of “oh!” or “holy s***!” depending on how emphatic it is. Seasoned journalists tend to be more stoic, but I can’t help turning into a big kid whenever a close game enters the final 15 minutes. My sense of wonder knows no bounds, which is the first time anyone has ever said that in connection with Cappielow. 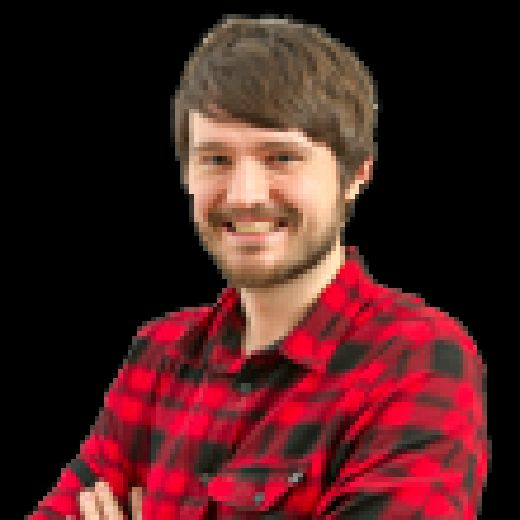 @Dennynews: Do Falkirk deserve their tag as Six Nations favourites? Now, now, Chris. Just because those nasty Falkirk players turned up at Easter Road and got a point, doesn’t mean you should pout about it. Personally, I found Falkik’s cynical tactics hilarious. Football is such a funny sport, especially when everyone gets all riled up and mass booing ensues. • Danny Rogers calls for ballboy to throw him the ball. When the ballboy does, Rogers bends down to have a drink of water and allows the ball to sail past him. • Lee Miller is caught offside. While running back, he kicks the ball away from Ross Laidlaw who’s trying to take a quick free-kick. He then, somehow, persuades the referee that this was an innocence act, and that he actually thought play was still going on. • Falkirk make the longest double substitution in the history of football. The second player coming on doesn’t even remove his jumper until the first one has been completed. There was also the persistent fouling and the launching of long balls into the corners. And do you know what? Who cares? This is a part of football. Supporters always complain about other teams indulging in some undesirable tactics and yet never seem to notice when their own side does it. Falkirk were down to ten men away to the strongest side in the league. They did what they had to do and they did a very good job of it. The biggest failing of the national team at the moment is the ease in which other sides beat us. We’re a soft touch. Scotland and Gordon Strachan could learn a thing or two from Peter Houston’s Falkirk. Yes, I really did just write that. @Fraser1874: Who would win in a fist fight between Kevin Gomis and Miles Addison? Good lord. It would be like when the Big Show took on the Great Khali. Or, I’d imagine that’s what it would look like, having not watched wrestling since I lost my VL. I’m going to go for Addison. He’s got more bulk about him and looks as if he’d be sturdier in a fight. @AndyM1874: The SFA board have proven incompetence in the eyes of many observers re Strachan issue, how can they redeem the situation? @RafaelMac7: How do we oust the amateurish SFA? This is the problem with calling for the SFA board to go. There’s no actual plan to get rid of them because the public don’t have that power. It is not a democracy which involves the whole of Scottish football. To get rid of them en masse, you’d have to apply enough pressure so they all resign. And the amount of pressure you’d have to apply, and some of the tactics used in order to achieve such levels, just wouldn’t sit right with decent human beings. The hope is to create enough negativity around Stewart Regan so he quits and the SFA, probably by accident given their track record, actually points a strong and decisive leader who is good for Scottish football. @MarcJWallace: What would you do if a schoolboy said you were s***e in the street? Having been unable to fight my way out of a paper bag my entire life, I’ve retained a sense of unease around groups of schoolboys because of the intimidation I used to feel when I was one. Therefore, I would never approach them in a forthright manner like Martyn Waghorn did. I would slink off like the coward I am. As for Waghorn, he’s got to realise it’s just a daft group of wee laddies trying to get a rise out of him. If it were a fully grown adult, by all means pull them up on their stupid behaviour. Ask them if they think it’s perfectly acceptable to abuse another human in the street. Who knows, you may even get through to them. Unless you’re turning on the charm and dazzling them with how much of a “sound” guy you are, there is no getting through to a wee laddie acting the big man in front of his pals. @PeteDog13: Has Keith Jackson allowed personal favouritism to cloud his judgment on Strachan? It’s what a lot of people assumed, but since the SFA have come out and backed Gordon Strachan, can he really be criticised for wanting to give the national team boss more time? I don’t agree with it, whatsoever, but people are entitled to the opinion. He may believe there is no better candidate out there who Scotland could recruit and, given time, could turn things around. It’s poor form if personal favouritism comes into this opinion, but only Jackson would know if that’s the case and, seeing as he says it doesn’t, I’m willing to give him the benefit of the doubt. @JG93_: Regarding Strachan, would you say it’s time for viewers to crack each other’s heads open and feast on the goo inside?